Bloomberg did it too a bit earlier by drawing a line for each year. 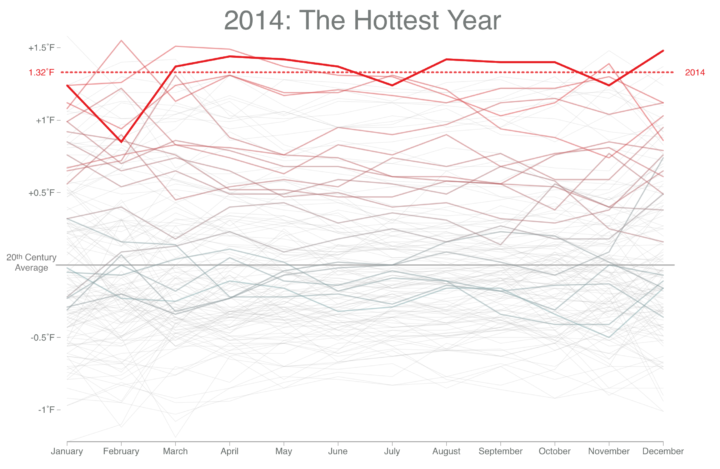 As the years play out, you can see overall temperature rising overall. In this tutorial you learn to make charts that look more like this Bloomberg piece. You use R and the animation package to make an animated GIF, but first you start with static charts and then work your way towards the finished graphic.